The Grand Ivy is a real multi-software casino and has a great selection of slots and games. The online casino has a Malta Gaming Authority and UK Gambling Commission license. You can play safely and enjoy many advantages, such as fast payouts, great bonuses, and mobile casino games. In addition to the huge selection of slots from more than 20 providers, there are also 2 live casinos. 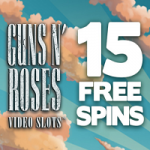 At first you get as a new player an excellent bonus package with free money and free spins. Your first three deposits will be rewarded in Grand Ivy with a Bonus of up to £1.500. 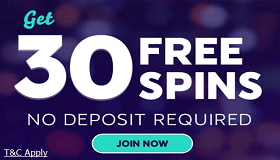 In addition you get for each of the deposits also free spins. 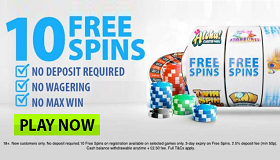 The free rounds are played on three NetEntertainment slots and guarantee additional winnings. Just register at the Grand Ivy and you can benefit from this great advantage. With only a few details, you can open up your account in Grand Ivy. Just enter your e-mail address and login information. The welcome bonus is immediately available. 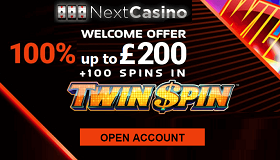 Just make your first deposit which is doubled and you also get your first free spins instantly. The bonus terms are fair: only 35 times you have to convert the bonus amount! 18+. BeGambleAware. Terms Apply. You can also play from your smartphone or tablet in Grand Ivy. The following devices and operating systems are supported: Apple iOS – iPhone, Ipad2, Ipad3 from iOS 4.0 and all Android devices with versions as of 2.3.5. There are more than 300 slots and games available in the Mobile Casino – a very good selection. No less interesting is the live casino. Basically, there are even 2 live casinos, one of Net Entertainment and one of Evolution Gaming. Both providers provide excellent streams and great features like live chat with players and dealers. There are Roulette, Blackjack, Baccarat and various Poker variations. Low and high limit tables are available as well as VIP tables. Payouts are handled very quickly in the Grand Ivy. There is no pending of withdrawals. With various payment methods such as credit cards or e-wallets you can make all deposits and withdrawals in the Grand Ivy. With Neteller and Skrill, all transactions are also free of charge. For deposits you can also use Paysafe cards. 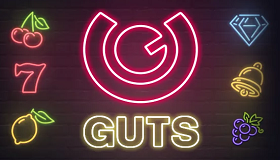 Conclusion: Top online casino, serious, fair and with good offers.